Due to urbanization, the demand for construction materials is increasing. This leads to exploitation of natural resources and in turn provides the scope for use of alternate construction materials. Also the disposal of waste materials is a major concern in the developing countries like India, so the best way of reducing it is achieved by recycling it efficiently or disposing under a controlled environment. In this study Iron Ore Tailings (IOT) procured from Kudremukh Lakya Dam site (KIOCL Ltd.) was used as partial replacement to fine aggregates at levels of 10, 20,30,40,50 percent and the basic material properties, strength parameters were studied. It was found that as the IOT percentage increased in the mix workability was reduced. At 40 percent replacement level the 28days compressive strength was more than the reference mix and other replacement percentage mixes. 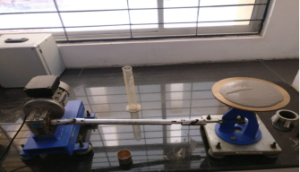 Flexural strength was observed maximum for reference mix. Quality of concrete mixes was found good from Ultrasound Pulse Velocity test. Flexural fatigue analysis was carried out on mix with 40 percent IOT replacement at stress ratios 0.65, 0.7 and 0.75 compared with IRC model for number of repetitions using log normal distribution. Up to 0.7 stress ratio it showed more number of repetitions than IRC and at higher stress ratio mix with IOT achieved failure earlier. The main objective of the investigation was to explore the possibility of reuse of Common Effluent Treatment Plant (CETP) Sludge and also to determine its applicability in the construction sector. 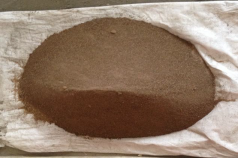 CETP sludge is tested for its suitability and included in proportioning of CLSM. ACI-229R defines Controlled Low Strength Material (CLSM) as a self-compacting material with a compressive strength of 8.2 MPa or less. It is a versatile and flowable mix whose proportions can be suitably adjusted to meet specified requirements. The present investigation aimed at developing the CLSM by utilizing CETP sludge in partial quantities. The mixes were subjected to fresh and hardened property tests. 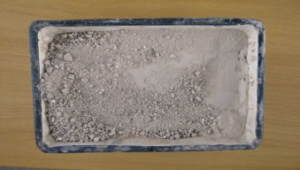 The experimental results showed the feasibility of partial replacement of cement by CETP sludge thus by highlighting the efficient reusability of industrial by-product as a construction material. A mixture of 10% CETP sludge, 90 kg/m3 Cement, 600 kg/m3 Class F FlyAsh with water provided unconfined compressive strength values within the range for classification as CLSM. 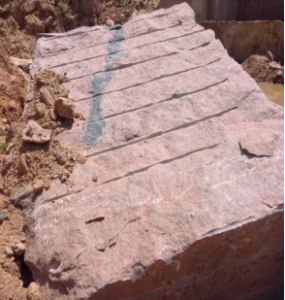 This mixture satisfies the excavatability and walkability requirements as well as the hardening time and stability. 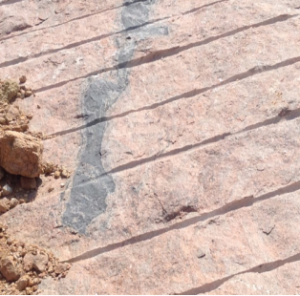 Waste from quarry and fabrication operations can be unsafe and environmentally detrimental. 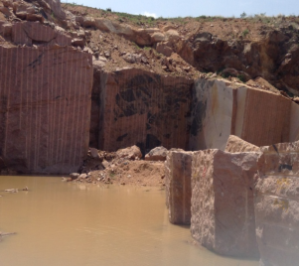 Scrap stone can create an undesirable visual impact as well as dangerous working conditions if it is not well organized or if piles are allowed to be stacked carelessly. Runoff from the scrap mounds can cause erosion problems, and fines introduced into natural waterways can suffocate local ecosystems. Airborne dust from uncovered stockpiles or poorly functioning filtration equipment can cause respiratory, ocular, or dermal irritation for employees and be a visual or even respiratory burden on local communities. 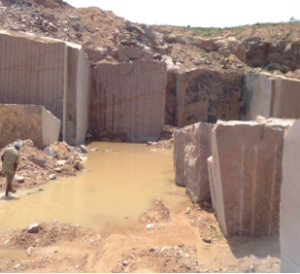 Silicosis, a lung disease causing breathing difficulties and sometimes mortality, could potentially afflict employees if the stone contains silica. Further, if waste must be disposed of off-site, landfill fees can create additional costs for quarry and fabrication operators. Other types of manufacturing wastes, like antifreeze and lubricants, have the potential to create environmental problems if they are leaked onto the ground or into a waterway. 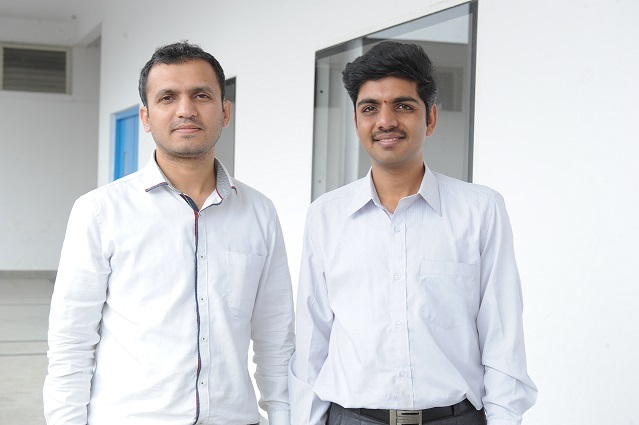 Chandre Gowda a water resources engineer and GATE scholar graduated with a Master’s from IIT (Chennai) and a Ph.D from National Institute of Technology (Suratkal) in 2015. His research activity includes rainfall runoff modeling, derivation of operation policy for small, medium and large hydraulic structures. The ongoing research activities are development of commercial products from waste generated by quarry, urban flash flood management and development of local water treatment units for medium and micro scale. Besides two years of industrial exposure in site work execution he also has three years of academic experience at various premier institutes. He has numerous publications in national and international journals and well versed with the programming languages such as C, MatLAB and commercial software’s like ArcGIS, Minitab, origin and Math type. 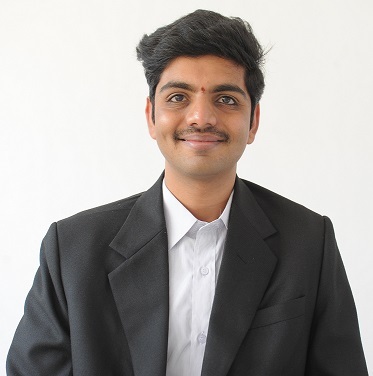 Skanda Kumar holds a B.Tech in Civil Engineering with a Master Degree in Transportation and Engineering Management, from Visvesvaraya Technological University (VTU). Skanda Kumar has more than 5 years of teaching experience and has served in various prestigious institutes. He has actively contributed in the industrial consultancy work undertaken. He is pursuing his Ph.D in Civil engineering under VTU in the area “Sustainable Pavement Technology”. His other areas of interest include Highway Engineering, Geotechnical Engineering, Surveying, Concrete Technology, Building Materials and Construction Technology, Transportation planning , Traffic Engineering & Management, Quality Control, Engineering Mechanics and Road Safety. A few notable projects which have evinced industrial interest include: Travel Delay and Modal Split Analysis – A Case Study, Utilization of Iron Ore Tailings as Replacement to Fine Aggregates in Cement Concrete Pavements and Performance Evaluation on Thin-White topping. 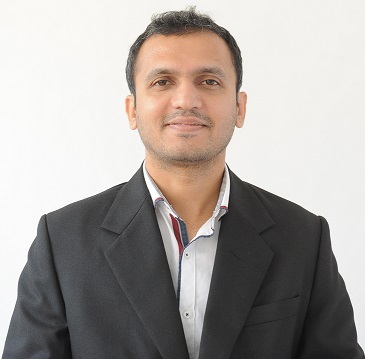 He has served as Assistant Professor at JSSATE – Mauritius, DSCE and Jain University. He is a Life Member of Association of Consulting Civil Engineers India (MACCE-I).